Cold and Flu Season is Upon Us: How’s Your Gut Function? Fall is here, and that means that cold and flu season has arrived. Have you ever noticed that some people seldom get sick? Or maybe you have wondered why after being exposed to the same virus, one person gets ill while the other remains well. The reason lies in the strength of the immune system. And the strength of your immune system is largely dependent upon the condition of your digestive system. When you are exposed to bad bacteria or viruses, it is up to your immune system to protect you from being infected. If your immune system is strong, your body will fight off the threat. If your immune system is weak or compromised, you may end up sick. Inside your digestive system are many microbes. Microbes are live organisms that affect your overall health. Some of these organisms are beneficial and protect you from disease. These good bacteria recognize when illness-producing intruders enter your body; they promptly attack the intruders so you do not get sick. If you do not have enough good bacteria in your gut, you will be more susceptible not only to infections such as colds and stomach flu, but you will also be at risk for autoimmune diseases such as colitis, rheumatoid arthritis and Chron’s disease. Ideally you have a large supply of these good microbes living in your gut. But they can easily become depleted. If you have recently taken antibiotics, you have had not only the bad bacteria wiped out, but also the good bacteria. Antibiotics are not selective in their destruction. Antibiotics are not the only way that good bacteria become depleted in your digestive system. The chlorine in your drinking water can destroy them, as can the pesticide residue on the food that you eat. Once the supply of beneficial microbes in your intestines dwindles, bad microbes such as yeast, fungi and disease-causing bacteria begin to take up residence. When the scale tips in favor of the bad, your immune system becomes compromised. If you think you might be deficient in good microbes, it is not difficult to remedy the problem. The solution is to take probiotics. Probiotics are good microbes that you can consume in your diet. They then settle in your digestive system and get to work protecting you from illness and destroying the bad bacteria that may be living there. Probiotics are available in capsule form, but you can also replenish the good microbes by eating yogurt. Check the label on the yogurt that you buy to make sure it says that it contains active cultures—those are the good bacteria that you need to eat. Take action now and get a head start on this year’s cold and flu season. You can get ahead of the game by improving your gut function and fighting illness. 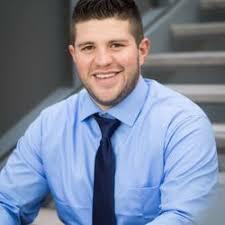 Drew Saenz has a passion for helping others obtain a better state of health through education and action based fitness and nutrition programs. After personally losing over 60 pounds he decided fitness was the career for him. He then pursued a bachelor’s degree from Arizona State University in Exercise and Wellness, during his senior year founded Team Up. Team Up has partnered with the National Corporate Fitness Institute to provide world class Corporate Fitness and Wellness Programs to empower companies to improve the health of their people. Enter Your Name & Email to Download this FREE Special Report Created for Small Business Employers by the HR Pros at HR Answers. Enter Your Name & Email to Download this FREE Special Report Created for Small Business Employers by the HR Pros at HRAnswers.org.